Lately I've been bored with blogging. I think it's because it's the same old stuff - totes and pouches and clothes and drafting and cardboard-that-I-cannot-get-to-because-Emily-has-cut-up-all-my-boxes. I have all these posts written up, right? And photos all edited. And tutorials done. And even more projects sewn that I can't bring myself to take photos of because they are boring. Different garments, different bags, different fabrics, different details, yes, but they are still clothes and bags. And I've done clothes and bags. UGH! Ethnic sewing - saree tops, Chinese suits, that sort of thing. More toys - but my kids are growing up and into board games now. Costumes - but that's clothes again!!!!!!! Carpentry - take those cardboard ideas and venture into wood as a medium. Nahhhhhh - then we wouldn't be able to toss them when they become obselete. Reupholster our house - nahhhhhhhhhh. Too much work for the price of buying new stuff ready-made. Know what? I think I want to write curricula. I think I miss teaching. Not homeschool-type teaching, no. I think somewhere inside me, I want to write sewing curricula - not for a book, no, no. For classes. I was in Joann last week - the first time since before Christmas (see? I'm just losing interest) and there was a class of bewildered-looking students holding up fat quarters and trying to find the selvedges. I wondered, "what is the lesson, I wonder? Maybe Discovering Fabric 101?" Came home and told the husband how bored I am with blogging and selling patterns and how I secretly want to teach sewing. "Like in a community college?" he asked. "No. To people with no money and who might learn to sew to make a living." I could see the wheels turning as he considered that I might take off to a third world country to hold classes for village women with children strapped to their backs while he and the kids lived on mac-n-cheese for the next year. Or maybe I'll start in church, and see if they'll let me teach people how to sew. But there's already a lovely quilting group full of gentle, well-behaved ladies there that rolls bandages and sews blankets for newborns. I joined them once, and sewed bags-to-hang-on-wheelchairs for a mission trip. It was fun - for one day. Or maybe, when the kids are older, and I can leave the house for hours on end, I might go to Joann and see if they'll take me. I might have to promise not to say bad things about their quilting cottons section and I might have to make myself enthuse over a 2D project in floral polyester that has only 5 steps, but I could take a big swig of molten nutella and do it. A reader wrote to me last week for advice on how to teach mending to a group of girls. I loved her question, and - poor thing - I sent her back a sample curriculum. I think she's still reeling from the overload. It's the teacher genes, I swear - I can write tutorials if I want, and I can probably call unsuspecting fabric stores about running a project-based workshop, but oh, to write curricula!!!!!!! A 10-week sewing course for teenagers! An 8-week course on beginner sewing! A 6-month course on drafting! To teach sewing skills! To actual, non-virtual people with non-virtual bewildered faces! Eeeeeeeeeeeeeeee! I wrote up a 2010 Round-up post at the end of last year, like so many bloggers do - and it was so boring that I didn't post it. I mean, I did a lot of random nonsense in 2010. No architectural megaprojects like the Princess Pavilion Tent or the Little Blue House of 2009, pity. A lot of patterns (OK, four) and interactive softies. An inordinate number of costumes. And two big tutorial series-es: drafting and pockets. I liked those last two. They were like curricula. And I began to see a pattern forming. Or maybe it's just winter getting to me. I miss being outdoors. I miss swimming. I miss being in a classroom with thirty teenagers on that first day of the school year with a brand new curriculum to dive into. There I am, rubbing my hands in glee, dressed in some outlandish ethnic outfit, gloating, "Hyuk, hyuk, you're stuck with me! We're going to learn Physics!!!!!!" and we go on to have a smashing year. Sorta. Here's my self-analysis. I like teaching skills, right? But most of you like learning projects. 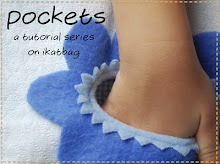 I prefer doing tutorials on techniques and generic elements of projects, like pockets and gussets and styles of garments and adapting slopers and stuff like that, and let you all go on to personalize them and make them your own. Because that's what teachers - even retired ones - do. But many of you like strawberry bags and stick horses and gathered skirts and cardboard ships (and that's why I throw those in the mix). Here's the thing: those What tutorials don't get me excited like the Why and How tutorials do. Plus, maybe those Whys and Hows are beyond what most of you would like to handle, or have time for? We all have day jobs and small kids (or both), right? What would you like to learn this year that I could write a curriculum tutorial for? I'm not asking, "what would you like to see on this blog in 2011?" - because I'll get this typical answer: "Why, more of the same, please!" Flattering, but not as helpful. So take your time to think of an answer and share it in the comments, and maybe it will shape a new curriculum for the year! Parting words: what in the world was that first photo about? Hot pads, is it? Answer: No - it's one of my famous random photos! OK really, it's just a new pocket. I'm always making new pockets. I made them this weekend for fun, just to see if I could get piping all around a lined pocket from the inside. These are faux-flap piped lined patch pockets. What a mouthful! They're going on a garment for Kate. I'll take photos soon. When you mentioned ethnic sewing I started to drool a bit. It's always fascinated me but where to start?? I do have a learn to sew book for kids, which hasn't been very inspiring. I think you understand what thrills little girls :) Also, I did love your pockets tutorial. Kids need pockets. What about a tutorial that steps parent & child through making a puppet theatre that hangs from a doorway or cardboard box. That's fairly simple sewing I think? With softies on sticks that the kids draw/paint on fabric before cutting/stitching/stuffing. Do you happen to crochet? I want to learn to crochet but the 3 books I've checked out from the library have only taught me how to do a single chain and end up with a mess. Please continue the detailed coverage of your daughter's birthday parties. I love your creativity and frugality. I'm using a lot of the same things that you did for the tea party birthday for my daughters and I'm happy that I've spent almost no money so far. I still have very little experience sewing with knits, so curriculum in that department would be helpful. LiEr. First off I will say I understand your thinking completely. I sew everyday, not because I want to mass produce things but so it keeps me sane. I too have 3 young children close in age. I left behind a pretty exciting career in the fashion world to stay home and be a mom. I know in my heart that it is the best thing for my children, but I still long for the days when I made a difference in the outside world. Anyway regarding your question... I have learned so many things from your blog. My sewing has really improved from the ideas and tourials that you have posted. I think what I would like to learn more about is your process. How do you do from having the idea of a chicken in your head to it sitting on your table. I guess that would be the math of sewing. How to take measurements and put them in pattern pieces that work. Maybe start with how to draft a set of doll clothes and then maybe a series on how to make a stuffed animal pattern. Just a thought. Hang in there. I think winter is getting to us all. Would love to know how to bind odd shapes - like circles, hopscotch board etc. You seem to have the technique down pat and I would love to learn your technique. Also the things that people love that you have made have had some interesting skills needed to create them and these would make a few good techniques. Especially the soft toys!!! Thanks - looking forward to these already. And post the photos too, right? I'll comment again when I've thought about this a bit but I would love to learn more drafting - especially for adult women. This weekend I was making a shirt and drafting the armscye was... interesting? You would have laughed could you have seen my attempts! I ended up copying off a commercial pattern (which was for a girls size 14 but seemed to work for an adult medium ish size shirt). However I can appreciate drafting is hard to teach by internet so maybe I'll think of some other ideas too. Actually (being a teacher turned SAHM myself) I would love tutorials based on simple construction techiques. More of how to draft a pattern, what the heck a french curve is used for, how to take the pattern to something usable to share, how to do different techniques... I used tutorials of stuff to help me regain my sewing confidence...now I want to go to the next level of designing and creating myself. I really loved your pocket lessons and the sloper ones too. What I'd really like to see is some more sloper or drafting stuff but for adult proportions. Your kid one was good but i sew for myself and my husband and can't really apply those same methods and get them to work with my giant....melons and booty. Also I always love seeing more cardboard creations no matter what they are! Is there a homeschool group near you? That might be a way to teach real live teenagers... I loved the vision of you going off to a third world country to teach women to sew. It would be a great thing to do, were it not for the abandoned DH and children, of course! Wow this is a long comment! Hope you're having a lovely Monday!!! Wow I can't believe I'm the first to comment. Most of my sewing is for children since I have 3 grandchildren. For me I would love to learn how to make simple patterns. Dresses and shirts for girls. How to change a basic pattern for different looks like sleeves, length (dress to shirt) etc would be great too. I started reading your blog part-way through the drafting series, so it was sort of like missing the first two weeks of class. I never really got what was going on with that. Maybe I should go back and read those posts because I really (really!) love the pocket series. 1. You've done pockets, how about zippers? Sport zippers, separating zippers, zippers on jackets, zippers on a curve, invisible zipper, zippers that under a little flap (what are those called?). Zippers are scary for a lot of people, so your readers might enjoy this. 2. Fabric 101. There are about a zillion types of fabric (shirting, suiting -what's the difference anyway- quilting, home dec, decorator -again, aren't those last two the same thing?) and materials that they're made out of (cotton, linen, bamboo, rayon, etc.). How about sorting all that out? It will take weeks! THAT would be a GREAT curricula. 3. Sewing with knits. I'm scared of knits. Help? I'd love to make something for MYSELF out of that knit that sort of slinky and satin-y like (know what I'm talking about? ), but that is like the end-of-semester project. Maybe start with the intricacies of sewing with knits. I'm sorry you're in crisis :-), but I'd actually love a curriculum for teaching little ones ages 3ish to 6ish, lol! Although I'm sure the majority of your readers are more interested in the projects/cutsey make-it-and-move-on stuff, I have more enjoyed your drafting why/how/scientific posts. I have been sewing for about 25 years (since I was about 8 or so), but my mother is generally relegated to patterns and doing only what the instructions say to do and that's how she taught me. I am more adventurous, and like to design and create without the constraints of someone else's interpretation. Case in point - I took the pattern that I mostly liked for my wedding dress and altered it as best as I could (13 yrs ago) just so that I didn't have to go buy a specialty $50 bridal bra. I didn't know all the why/how/scientific reasons and ways of doing it, but I don't think I would have been happy with someone else sewing it, nor leaving the pattern the way it was. Now that my daughter is 5, I'm wanting to not have to buy a $15 pattern just because she wants a new dress with colors/styles not available ready-made in the store. Even if you don't plan on posting your curricula that you're creating, I'd love to get a copy to have in my library. Your instructions on how to do techniques are clear and concise, and I would love to be able to tell my daughter "Go get Lier's book so we can figure out how to make what you're envisioning." Maybe I enjoy it because I'm married to a physics teacher. I've become accustomed to conversations of the technical nature, and quite frankly enjoy such musings. I came across your website a while back and fell in love! It's one of the only sewing ones where feel like I'm actually learning new techniques. And I LOVE LOVE LOVE the idea of you writing curriculums for us to follow. Maybe you could have a side tab with it, for people like me who are interested in doing them? Personally I would like to learn more techniques that make my projects seem professional and expensive... and I REALLY like to see tips that you do to make it easier. I would love to learn more skills. I would like to learn how to sew in a zipper. And better buttonholes. and how to to piping, oh! And serging on a regular machine. What do I need an actual serger for and what can I get away with on my regular machine that is supposed to do serging but doesn't seem to do as good a job as a serger. I love the projects, but I generally use them to learn new skills or hone old ones. I am teaching my self to sew and my knowledge and skills are spotty. I have no answers for my own blog, but I certainly look forward to seeing some of yours. You are, after all, one of the few blogs I keep on my reader, even though I've yet to make anything you've shown us. I find your particular brand of resourcefulness to be the kind of inspiration I want. PS I wonder what kind of requirements Pattern Review has for their online class instructors? your work is really outstanding, i bet your head is full of neat stuff to teach that doesn't need a "project" to accomplish it. although, i'm sure we'd all like a project every now and then. I teach a small sewing class to a few of my friends and they are almost ready for new adventures, i'm planning to use your drafting and pocket series as a lesson plan for them, they will be thrilled! I am just a beginner sewer, and I pretty much sew whatever strikes my fancy, mostly by reading blogs and seeing tutorials. But I did use and appreciate your "how to draft a sleeve" tutorial (used it to make a mini tuxedo coat for my son's Sir Topham Hatt costume) and am going to use your pocket tutorial to make a bag for the new Shuffle I got (myself) for Valentine's Day. Sorry I don't have any future ideas for you, just wanted to let you know I have used and appreciated your teaching posts! PS I also dislike the quilting fabrics at JoAnn. Because of your well written series on pockets, I have pushed myself further out of my comfort zone to try more pocket types. Because of your series on drafting I have surreptitiously gathered measurements of my children (and gathering up the courage to do a measuring blitz - someday). I thank you for teaching me. One thing I am very interested in is curricula for teaching kids to sew. Girl-chick received a little Singer sewing machine for her third birthday two years ago - a real one that does sew reasonably well (it was an emergency!). She's been eyeing it longingly in my craft room for a while now. I LOVE curricula! I especially need details to help me refine, and perfect my intermediate skills, along with some things that probably seem simple to others - like seam binding attached to an inner/L shaped corner. Accccck! lol I would love to be able to teach sewing skills, and mending, (for single moms so they can stay at home with their children/employment through my church) - that would be a great, maybe installment type tutorial??? Thanks for asking!! I love your creativity, expertise, and love for life! Darn it, I just lost the comment I was writing. Here we go again. One of the main reasons I follow your blog, Lier, are the HOW tutorials. While I enjoy your forays into costumes, cardboard, and other random silliness (especially World Nutella Day), what keeps me coming back are the bits on pockets, piping, fully lining EVERYTHING, and sleeves. It could have something to do with my not falling into the mom-of-small-children demographic, but it's even more like due to my analytical, process-oriented nature. I love having a catalogue of SKILLS in the filing cabinet in my brain to produce in exactly the right moment. It makes me feel like a magician pulling things out of a hat, and I love that those little details often make the difference between an acceptable trick and a "WOW-HOW'D-YOU-DO-THAT?!" reaction. So yes, please, to the sewing curricula! I'd like to learn how you managed to fully line that backpack. I'd like to learn about godets--the what, why, and how. I'd actually really like a series on mending. That's boring, I know, but it's useful, and those skills have gotten lost somewhere. My button-sewing skills are sub-par. First let me say that I love your blog. One thing I'd like to learn is how to tailor my clothes (or my children's clothes) - bring in the waist on pants, shorten straps, repair holes, mending ripped seams, how make a dress smaller or bigger, etc. I'm not sure these type of tutorials would be your thing, but I really would love how to repurpose things I own to make them wearable again. Let me say it again that I totally dig your blog. And your post about the repetitive reality of blogging is appreciated. It makes it personal and I hope you are able to find some new inspiration. I'd really like to lean how to use my serger. I have trouble with the settings and wind up wasting a TON of fabric trying to guess where to put the settings so I don't wind up with funky bunched or skipped or dropped stitches (I'm usually only marginally successful). I would also be interested in anything that helped make my sewn items look professionally made rather than homemade by a self-taught sewer. I loved both your pocket and sloper tutorials! I used your pocket tutorial a couple of weeks ago when I was making a skirt for my youngest daughter and it came out great! I agree with previous comments about sewing with knits and sewing on different types of zippers. And also, I have never been successful in sewing a lining/interfacing to my main garment piece - when there is a corner or sharp curve -that lays flat once folded over and pressed. I'm such a newbie to sewing and zippers scare me! I've only put one in so far...BUT I would love a post or two on zippers and the install/repair thereof. I would be really really excited if you would explain how to visualize what to do for fitting clothing to curves. Such as how the heck do I know where to put the dart or what does it mean when the fabric bunches near the shoulder? How can I sew for my friends who are large busted without messing up the length of the back bodice? How do I go from knowing I want a cowl neckline to drafting it on pattern paper? I have a hard time visualizing how a "look" is achieved. Anything that breaks down the mystifying step between knowing what it looks like and knowing how to draw the pattern would be amazing. I just stumbled upon your blog over the weekend, and have throughoughly enjoyed and been amazed by the volume of information you're sharing. Thanks so much! I've already drafted a block sleeve for my daughter and plan to complete the sloper pieces for her. What I'd like to learn is how to translate some of the childrens' designs (mostly tops, skirts, and dresses) I see online or in the stores and create a pattern for my daughter for them. I see a lot of cute knit tops and I don't know the differences in drafting for knits vs. wovens. I think your drafting series was one of the most amazing and informative things I have ever read in a blog. EVER. You could totally do sewing curricula. If you lived in Brooklyn you could teach at the local fabric store. Do they have a non-JoAnn's fabric store near you? Or how about an adult education place? In terms of what I would like to see, I am with Louise - techniques and Q&A would be awesome. 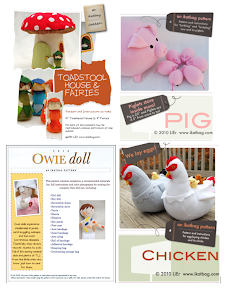 I actually read your blog for the inspiration to tackle more difficult sewing skills. I would love to take an online class from you to learn more difficult and rewarding projects. You do a great job at teaching us all here by the way, and can we ask for more... thanks. repurposing and mending as I just hate the wastefulness of our society. ok, I don't have time to read all the comments, sorry, so I'm going to just respond to you. I think yes, late winter is getting to you - several friends have talked along these lines and this is how I feel myself. Blogging is just the same old crap and who needs the internet anyway? But I bet I would feel like this about bridge parties and playgroups if that's what my life consisted of right now too. Now, the teacher thing I GET. I'm a teacher too and we cannot turn it off, even if we're happy to be out from under the paperload. I'm teaching middle school Sunday school right now and tutoring a dear Vietnamese high schooler, so that helps me. I think there is a dire need for sewing curricula - people are panting to learn to sew, but they don't know where to start. There are loads of projects out there (small picture), but you are interested in curriculum (big picture). Do you have the energy to pitch your idea to anyone? I am quite sure I have a lot to learn, but I'm not sure if I know what it is because my formal instruction in sewing amounts to about 3 hours total. The rest I have jerryrigged and figured out. 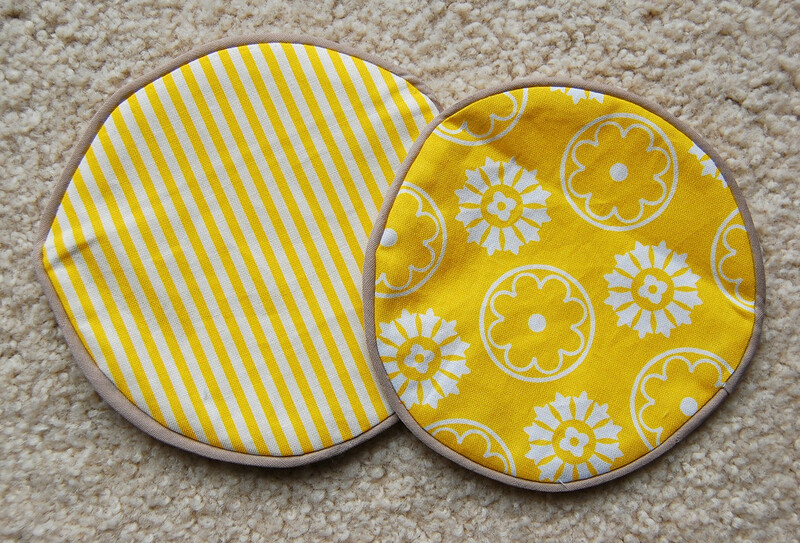 I want to know more about working with bias tape and sewing with circles (I stick to rectangles when I can). I'm not sure I'm doing right by zippers. I would love to know more about embroidery. Actually, I wish you or your amazing mother and aunts were my neighbors so I could be tutored in this stuff. I loved your series on pockets, but I really need a teacher beside me. Online tutorials confuse me, even carefully written and photographed ones like yours. I am a hands on learner. Please oh please keep doing tutorials on sewing techniques!!! 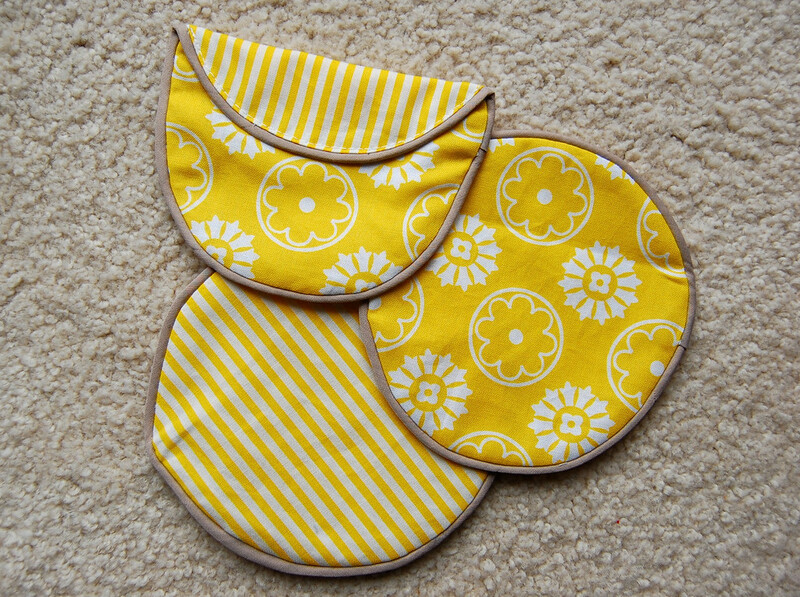 You are a refreshing oasis and desperately needed on an internet full of brand new sewists blogging bad sewing habits. Harsh of me, I know, but I feel it's true. I love your work and your workmanship, it is lovely. I am a geophysicist who chose to be a full time mother. I often read your blog because it inspires me, but also because it challenges me. I have the urge to to analyze, explore, figure out how it works, construct it and once it is done I change to something completely different. Try something on the limit of your skills, that only people you admire could do. Master it and then come to share it with us!!! Hear, hear! I'm a skills person, too. 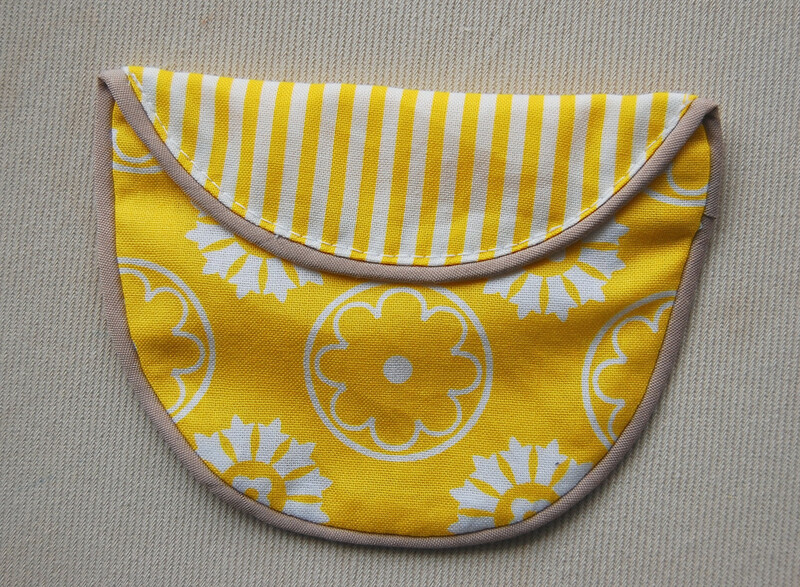 And I've also been thinking about the curricula idea lately as I've been pondering how and what to teach Sara to sew. Hand-sewing, machine-sewing, or embroidery? Projects or skills? But skills are boring if they're not in a project. So here are my thoughts....how about mini-series for different age/interest levels. Now, you've done a drafting series for adults. How about hand sewing (or machine-sewing or, embellishment) for young boys and girls. Or simple clothing for pre-teen girls. Or sewing for boys disguised as make-your-own camping gear tutorials. I understand your craving to teach... I used to teach high school math before having my kids. Now I stay home with them, and even though they're both brilliant, my two-year-olds just can't do Calculus. Or sew. So I host a lot of craft nights, and tutor math on a couple days a week. Anyway... I would LOVE to learn to draft my own patterns. Maybe you could do something about creating slopers for adults? I've got the McCunn book, but haven't had time to dive into it yet (see aforementioned two-year-olds). My very mature 5 year old is begging to learn to sew and I'd love to share it with her, but I'm not sure where to start and I want to be sure she has a foundation of good sewing technique to build on. We would follow along hanging on your every word! :) I'm also interested in your process of taking a concept through creation and into writing a pattern to sell. Skills! Skills! Okay, applied skills, perhaps, but skills nonetheless. I have been sewing since I was a little girl, so I don't need books about "basics" or How To Make This Apron You See Here. I'm astonished by all the recent books that are ostensibly about "how" to sew but are actually about "what" to sew. If you have years of experience you can extrapolate from the instructions given and dream up something original, but then why would you need the book? I was in the Snobby Bernina Store in my geographical location recently, picking up my repaired 801S, and the Snobby Lady wanted me to sign up for sewing class. "Well," I said,"I've been sewing since I was 8--" and I saw her face fall. Or maybe it was a glower, or a sneer. I quickly added brightly,"--but you never know!" She shoved a stapled pile of paper into my face, said something condescending, and I grabbed my machine and left. To be clear, I love quilts. I have started several. I wish I had the patience for them. I think they are art (well, many of them). But there is more to sewing than quilts. MUCH more. I go to Jo-Ann's or wherever, and all I see is fleece, minky, and quilting supplies. I was looking for one of those bias tape thingies recently and couldn't find one. I asked for help, and was led to that $100 bias tape "machine". (Insert uproarious laughter.) When I explained that I was looking for the little $5 jobby, the woman replied, "Ohhhhhh. That's in QUILTING." I wondered what else might be in Quilting, eyeing the goods bitterly. Right now I just want somebody to tell me how I can prevent twisted flanged cording from unraveling into an ugly mess when I get to the part where it has to veer off and get tucked into the seam, because nothing works to my satisfaction (my satisfaction consisting of "This does not look like crap."). My reference books say stuff like "Snip cord and tuck into seam allowance. Stitch." Oh, thank you! I need SPECIFICS, by a serious teacher who has figured out the magic secret and will probably be buried with it unless s/he is encouraged to teach a class. *AHEM* Say, what about a home dec class? What a great idea!! How about a series on the when/why/how of interfacings, interlinigs and linings? I've also often wondered where you need facings and why. Maybe a little reference chart of when you would use different types of stitches. So, when is it better to do a zigzag vs. a straight stitch. Or when do you NEED a triple stitch, etc. I really enjoy your blog and your tutes . . they are so clear and after going through them, I get the how and why of the technique! One thought: maybe you're underestimating how many of us do projects on the internet to learn new techniques, because there's not much out there that's pitched the way the drafting series was. I'd say more times than not I think "I'd like to perfect my felled seams" (or something) and then find a tutorial involving the technique to teach me, not the other way around (ie oops, I just learned how to fell a seam but look at these cool overalls!). Although it would probably be boring to a lot of people. I would personally love to start at the beginning. Basics please. I am starting to sew - self-taught - and I always feel like I'm doing everything wrong. I love your blog and read every single entry (kept me through long breastfeeding-nights!) and I'm not even a sewer! At all! I would love to learn sewing, and by that I mean from the bottom, including all the mysterious terms you sewers use. But I can't go out to take classes, no time with the kids and nursing and all. Nobody has a how-to-sew-for-complete-sewing-idiots blog to my knowledge. Like classes, I mean. You could do that. Like, posting classes every monday or so, so that poor mums like me don't lose grip and can keep up with it, starting from the very beginning. That would be GREAT! I would even pay for that!!!! Maybe one of many previous commentors (is that even a word?) mentioned this already (I think i stopped at comment number 20), but I would love to see a curriculum on how to teach a child to sew (okay, me too). My daughter is almost 8 and she wants to learn, but I'm unsure of where to start. Yes, I could sit down with her and sew something very simple, but I want to teach her the real sewing basics, including all the lingo. I'm "self-taught", but I don't know the true basics. I pretty much sew quilts and loot bags for my kids' birthday parties - all straight lines, right? I've done a couple of doll clothes and I thought I was going to rip out my hair just trying to read a pattern. I looked through my sewing bible and it didn't even explain how to cut cloth using a pattern (I guess it's assumed people can figure this out) - but do you pin the super thin pattern paper on the fabric and cut around it? Do you place the pattern paper on the fabric and trace around it, then remove the paper then cut (and if so, what is best for tracing)? Do you put the pattern paper on sturdier paper and make a copy? What exactly is a selvedge (how does one even pronounce this word?) and why is it important? Why do we need to serge? Can we just fold over the fabric twice? I could go on. In high school I scoffed the idea of home-ec classes (I was a modern woman!). How I wish I had taken just one of those classes now! I much prefer skill-based lessons over project-based tutorials. Maybe you could host an online sewing course for all of us newbies who are trying to teach ourselves? I would most def pay to learn from your expertise. I tried taking a course from Joann's but the depth of information I was hoping for just wasn't there. Anyways, I'll be glad to see whatever you have in store for us next! I would second what another person commented - tips on sewing with knits. And I would love tips on how to tailor clothing. I've checked out loads of books at the library and they have photos but not the instructions, or instructions but not words. And most of the tailoring is assuming you are making the article of clothing from scratch. Me, well, I'm usually just trying to clothe my daughter in an appropriate manner with store bought clothes that don't fit well. :( I can hem. But how can you modify an arm syce on a larger shirt, or how to make adjustments to waistlines on jeans and such to fit a child that doesn't fit the ideal body size? But I have to say, my kids and I still love your posts on parties, on stuffed animals and play things. Awesome. :) Really. 1) Knits & how to sew them. Tricks to keep them from sagging, which direction to cut in, what stitch to use, etc. 2) Basics I should know but actually don't. Like I just found out I'm supposed to cut the thread near the spool and draw it through the needle when changing thread, rather then drag the whole thing back out through the top. 3) How to fix my pants so they don't gape at the back. 4) I want to make a sundress (since I can't find one I like in stores) so if you can read my mind, figure out what I'm looking for and teach me to make it that would be awesome! 5) Piping. What cord do I buy to make it? And when should I use it? I love the idea of sewing curriculum! I don't know if this is possible but a 10 week (or however long) sewing workshop with you would be amazing! You could assign homework: we'd send in pictures and you could tell us what we need to work on. I'm not sure what the theme of this workshop/course would be or if it's even viable but I thought I'd throw it out there. I also love your humorous posts: how to shop with children, the invasion of Hello Kitty etc. But you could hardly turn that into a tutorial (How to write funny things for your blog?)! Or just turn this into a Physics blog. Or turn it over to Emily (I mean she already hijacks your sewing machine and raids your cardboard stash)! So many people have offered such great insight that coincides so closely with mine that I am tempted to not comment. But I don't think that would be fair to you, dear LiEr, asking you to read the minds of those who lurk, but don't comment. So I will echo much of what has been said. --I'm sorry the winter blogging blues have got you down, but your blog brings light (and knowledge) to the rest of us in the blogosphere. I hope the downs pass soon, maybe with turning of the season. --I was on the edge of my seat throughout the drafting a sloper series. When I finish my next big project for my degree, I fully intend to go through with more detail than I have thus far and actually make the sloper, instead of just drawing it out. Though, I may only wait until this summer and give it a try with the longer hours. These types of tutorials (or teaching tutorials) are what I am looking for. sewing lingo, sewing circles (and how to make hems lie flat when the line isn't straight), mending, knits, what types of fabric are good for, and zippers. (Or a lot of what has already been suggested). I would throw out ethnic sewing, but I figure that if I get the basics down I can make that flamenco dress that I have a very detailed (sloper-based) pattern for. I love the "curriculum" approach! I am taking a 2-part class called "Sewing 101" at a local sewing lounge and we are learning all kinds of techniques for finishing seams, zippers, buttonholes, pockets, stretch stitch, etc. Perhaps basic to many people, but what I most enjoy about the class is that she teaches us what we want to know, not just what she feels like doing. You'd be great teaching these kinds of classes! I like previous comments suggesting how to alter clothing, or teach children to sew. Your pocket series was great and I've printed the skirt summary as an ongoing reference. This is a not helpful comment to say I love your blog, and I'm still discovering it. I'm not very experienced sewer, so I don't have an original idea of a skill I have not yet explore. I totally understand what you feel, and surely part of it is winter blues. So, hang on, it will be better soon! As to what I'd like to learn, your wedding gown post gave me an idea - how about basics of cutwork? Or, something I'd like to know more about, is Chinese dresses. Proper ones. Not so much sewing really, as a kind of reference. What kinds, when worn, which colours, which fabrics, which accessories - and of course, finally, some short cuts to dresses which look authentic, but are perhaps not so tedious to make or wear? I would love to learn sewing SKILLS, not just projects. The problem is time. I have yet to go through the drafting series. Anyway, I would not mind seeing skills tutorials on here. I have been thinking a lot about your post from Monday. I think you are struggling with the frustration that many craft bloggers feel. We create and share, but often we create a variation of the same thing in the craft evolution that may or may not be interesting for others to read. It is hard not to feel the pull of what your readers want from you and the pressure of continuing to produce a well thought out blog on a regular basis. I encourage you to ask yourself why you blog, is it for us or for yourself? And who do you imagine as your ideal audience. I have found with all teaching that when a teacher is truly enthusiastic they bring their students along with them. The true power of blogging comes from doing what you love and sharing it with the world. My sewing skills are far more basic than yours, having learned mostly through taking on ambitious projects rather than having been taught specific skills. -Perhaps I have that in common with the readers who love tutorials. I just bought a book to help me teach my daughters to sew, it has a few simple projects that incorporate basic skills/ideas. I wonder if any one has brought up girl scout lessons. A project for a brownie triad, or a petal lesson that incorporates sewing (sometimes cutting and basting requires a bit of courage when I am not sure of the final product) for Daisy Scouts. I know my daughter would love a simple straight forward sewing less that didn't end up with both of us fighting tears. Thanks for your inspiring blog work! I started to follow your blog because I love your technical curricula. I don't care so much for the tutorials for certain projects. I'm so jealous of your sewing knowledge! Love your style - I really appreciate all the work you do. I love to learn techniques instead of just projects, and then design my own projects. Some people have already said this, but how about zippers? I have only just started to use them, and I know I'm not doing it quite right - the finished product may work, but doesn't look very good. Thanks again for teaching me so much already! Just wanted to say thanks, and please don't quit. I love your blog & tutorials. Just wanted to write a quick note re board games and your daughter's new liking of them: making board games is really fun! I did it a lot as a kid. Making up the rules, the board, spinner perhaps, pieces etc. super fun. Involves cardboard too. I was particularly interested in your "curriculum" about pattern drafting. I was inspired to want to create a sloper for myself, and recently found this book (http://www.fashion-incubator.com/archive/free-italian-pattern-drafting-book/) for free download online, which I used to create a sloper for myself- it fit perfectly the first time, and I'm excited to start making patterns from it.. perhaps some advice on creating adult patterns from slopers? As a complete sewing noob, I stumbled across your blog just in time for the drafting series. I loved it and still do, and honestly, while I do enjoy the asides into cardboard and birthday parties and cute random projects, I'm really not that into "project tutorials." Like so many commenters above me, I am all about learning how to do stuff, and then applying it in my own way. But I also agree that learning skills without a cute project as a result is boring...which is probably why my own approach to learning to sew has been a bit, well, random. The first dress I ever made for my daughter (and only the second or third piece of clothing I made ever) was designed and created out of a mashup of your drafting instructions, a commercial pattern for a pajama shirt, a different commercial pattern for a dress, and tracing an existing garment onto paper. It was sewn from knit fabric (stretchy velour). The dress was a huge success and fits my daughter wonderfully. I never actually made a sloper, nor a muslin, though, partly because of a sheer lack of time but mostly for the same reason I started with knits: NO idea how to deal with zippers or buttons. Knit garments don't need them. I learned how to change the presser foot on my sewing machine about a dozen projects in, when I finally had to deal with a zipper. Because the stretch satin (!) I bought for something for my daughter wasn't stretchy enough to use for the purpose I originally had in mind, so I switched projects. Even then, I had to make modifications and learn from multiple sources because I chose an invisible zipper rather than the regular one contemplated (unfathomably, given that it's for an A-line dress with a back zipper) by the pattern I was using. Oh! You know what could make a very interesting and potentially very humorous blog post or series? LiEr, you must teach yourself to use commercial patterns. Not the fancy schmancy ones either; the big-brand ones they sell at JoAnn. I would be VERY grateful and I really need it! :-) My sewing skills can not keep up with the ideas in my head!!!! I'm in for any class series you decide to do. Really. I can follow pretty much any pattern, and I've even drafted a few of my own for bags and little girl dresses (with the help of your blog of course) but some skills just elude me. Like how to do NEAT top-stitching that doesn't wander. And how to draft/customize/modify patterns for me as a plus size pregnant mama who will be a plus size nursing mama in a few months. And like a previous commenter said- installing zippers. I have also enjoyed all the cardboard projects and birthday party projects as I have 3 granddaughters under the age of 9 and 1 grandson who is 7. I made (and still have) a Barbie doll bed for my daughter out of cardboard along with a mattress and upholstered headboard, sheets, pillows and cases and a comforter and crocheted afghan for the bed. She was about 6 and is 30 now. That bed is stout enough to stand on. LOL. I would love you forever if you did more posts about ethnic clothing. I can't even tell you how much I would love that. I also agree with many of the other commenters that a curriculum to teach kids to sew would be fantastic. I adore your tutorials-I hate how oversimplified sewing has become, as though we all just want to make endless pillowcase dresses and such. And I find most sewing bloggers are at a lower sewing level than me, and I end up picking out mistakes in their tutes! I have my own ideas, I just lack the knowledge in the specifics to make them happen. I have all your drafting series saved on my computer to use like a book, and i'll get started on the pockets soon. I would love to see pattern grading for children covered-pretty please? Heh - I wouldn't mind a sari blouse tutorial! Something that has to fit EXACTLY like sausage casing... beyond my skill level, I think! I love cotton ribbing for summer tanks and desperately want to make my own so that I can get some durability out of the garment, but I just can't figure out how to sew the fabric so that it doesn't pucker and look terrible. Come to think of it, there's a lot of fabric that would make wonderful clothes that is just so tricky to sew and have it look crisp. Could you do some lessons in how to sew knits for folks who can't afford to get a serger? Can it even be done? And I would also love to see a sewing curriculum for young kids. It's such a useful skill to have and it isn't taught anymore. Can kids as young as 4 be taught sewing without losing fingers? What about sewing for older kids? My kids learnt to handsew at four and were quite good at it. The plastic mesh you get as a bag reinforcer, or hessian is a good place to start. My eldest is seven and has been able to use my sewing machine independantly for quite a while-kids are really capable if you give them a chance!